The tag team division for Smackdown has had struggles for a little while now. The Usos gained the tag belts in a shocking victory over American Alpha, and have since defended the belts rarely. Now that a number one contender has been established, perhaps the Usos can show off their ability once again to heat up the division as a whole. The challengers are the entertaining team of Tyler Breeze and Fandango. The “Fashion Police” have really caught on with the WWE universe and their face turn has allowed fans to cheer for these two under appreciated stars. Breezango could easily rejuvenate the tag team division with a big win here, but a continued program with the Usos would likely be a better way to build up the division. Having the Usos sneak out with the titles will allow Breezango to adopt a more focused attitude that would continue to build them as potential champions. After an excellent battle between the two teams, other teams like American Alpha, The New Day, and possible #DIY could provide new life to the struggling division. Kevin Owens has arrived on Smackdown and brought his US Title with him. Owens has always been excellent as a heel, and building up his character as “The Face of America” further pushes him into a heel we love to hate. What is really impressive is the decision to throw into a feud with the man who built Smackdown, A.J. Styles. The feud needed to happen sooner or later, and this feud has allowed Styles to turn face. This match has all the potential to be a show-stealer and elevate the US Title beyond a forgotten championship. Styles is a top star and can put up amazing matches with anyone (just ask James Ellsworth). Putting the US Title on him would allow him to elevate the title similar to how Cena did. Battling rising stars like Dillinger and Rawley will allow those stars to grow in legitimacy and elevate the brand as a whole. Owens can cause havoc across the brand without the belt with the likes of Nakamura. Now the strangest match of the night. Jinder Mahal’s meteoric rise is absolutely insane, considering his return was filled with nothing but squash matches until winning the number one contendership. Now, Mahal, with support from the Singh Brothers, is in position to take the brand’s top prize. The only thing in the way is Randy Orton. Orton is off to a rocky start since winning the title at WrestleMania. After a loss to Bray Wyatt in the chaotic House of Horrors match, Mahal has left Orton reeling on multiple occasions. I don not see how Orton loses the title unless WWE really wants to shock the world. Mahal’s rise is impressive but needs to slow down. Pushing a star so quickly can lead to the WWE Universe turning on the show (or renewing interest to a new level). Orton can put on great matches, but there are questions about his ability to lead the blue brand to the heights that A.J. Styles brought it to. But Mahal would not be the answer. And that’s our list. Do you agree or disagree? 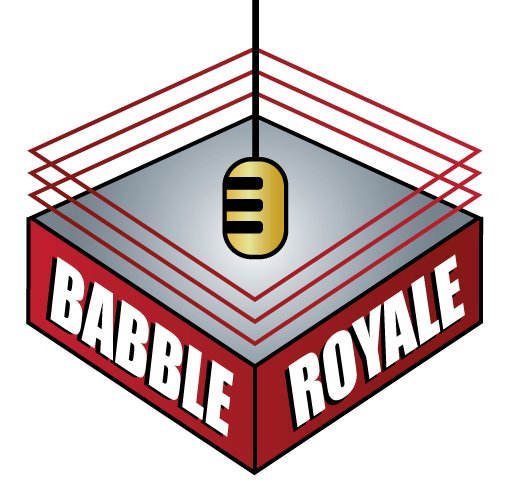 Leave your comments below and don’t forget to like our page, share this post, and subscribe to Babble Royale for more articles like this.